Every year I start doing mini portrait sessions for the holidays! It is so much fun and my families get a great little package of photos The Baker family were so relaxed and I really enjoyed working with them all. I LOVED the colors they wore, everything was perfect!! I want to thank these guys for haning in with me! The Las Colinas Canals was packed with many other families taking photos. We waited in line but the end result was great!! You guys look amazing!!! 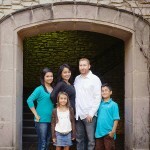 I hope you love them and thank you for allowing me to be your family photographer for the day!